Monica Nino, the top administrator of San Joaquin County, strides down the hallway to her office, squeezing a few minutes to talk between meetings. Overseeing 26 departments with 7,200 employees and an annual budget of $1.7 billion means having a lot of meetings. But for her, those points of contact keep communication and energy flowing. 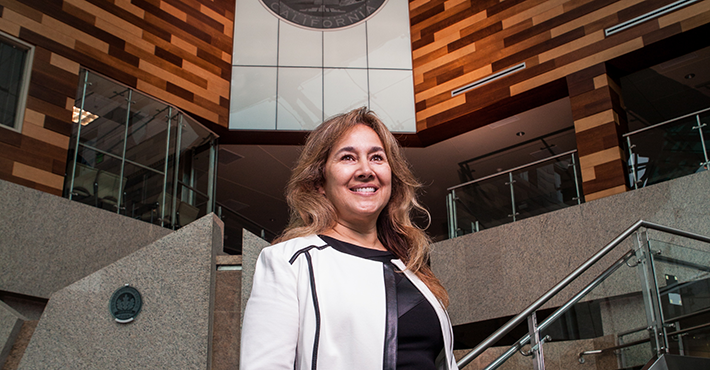 Energy is the Stan State alumna’s hallmark, and after five years at the pinnacle of San Joaquin County’s organizational chart she still covers ground at remarkable speed. At 55, she has 30 years in public sector service, starting with an accounting gig in the Stanislaus County Auditor-Controller’s office after graduating from Fresno State. Her dreams of working at a Fortune 500 company shifted as she gained experience. Today she works to spur economic development and improve lives across a wider horizon, and credits her Master of Public Administration degree from Stan State with helping her advance those goals. Employer assistance from Stanislaus County helped her pursue her master’s in the 1990s. Seeing her degree as key to job advancement added incentive. “I think students need to see the light at the end of that tunnel,” she said. Nino rose to Stanislaus County CEO before taking the San Joaquin County post. As the head of San Joaquin County’s largest employer, she now views education from the other side of the tunnel and would like to be able to hire more local graduates with training in health, engineering and technology. But the county has long had above-average rates of poverty and stubbornly low education rates. She draws hope from forward movement at San Joaquin’s college sites. “At Delta College and the Stan State Stockton Campus I see a President (Kathy Hart) and a Dean (Faimous Harrison) who recognize those factors. I see two leaders trying to do whatever they can to make higher education more accessible,” Nino said. 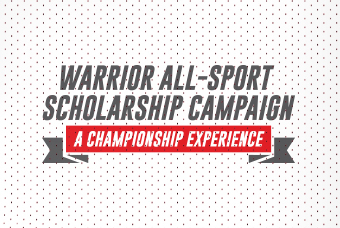 The two schools recently signed an MOU for the Warriors on the Way program to create pathways from the community college to CSU degrees completed entirely in Stockton. 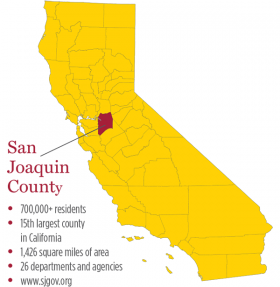 The job, to Nino, means transforming San Joaquin lives for the long run. “We have generational poverty. What are we doing to move that needle? Do we have more kids graduating from college? Are we building a better, stronger community?” she queried. Those questions will drive her next initiative, a data-driven deep look at services, dollars and results.